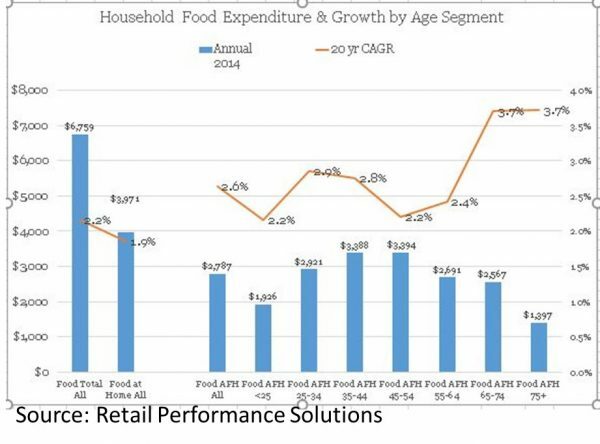 When you consider the economic challenges for Millennials and next up Gen Z, the decline in spending by aging Boomers may equal or outweigh the growth by new generations entering prime retail spending years. But this got me thinking about the scale of the age segments. 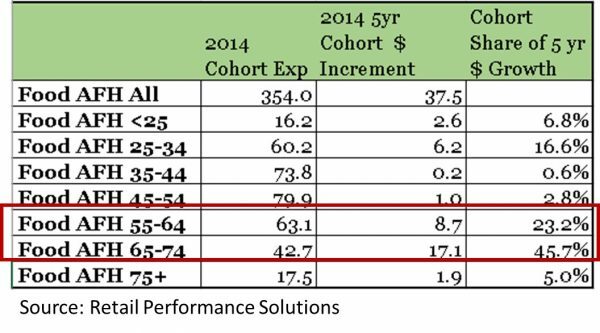 Boomers 55-74 are spending more than Millennials on average by household, but what does it look like for the total of the age segments. 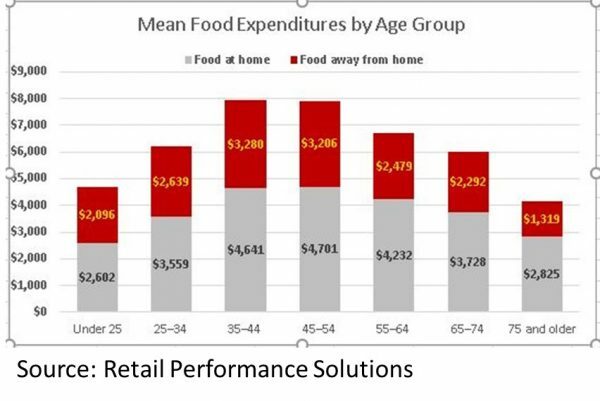 What popped out for me with this thinking is that Older Cohorts of Shoppers represent a significant opportunity for food retailers to target with Dine In and Prepared Foods Offerings. 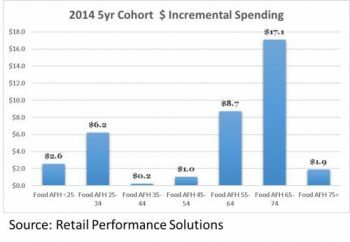 They represent a significant portion of the growth of Food Away From Home Spending over the past 5 years. 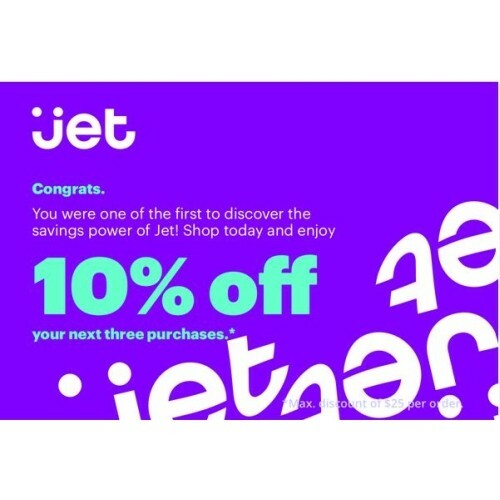 Make sure your marketing efforts for prepared foods and dine in don’t just target digital native Millennials but also cover older shopper segments in your stores trading area. 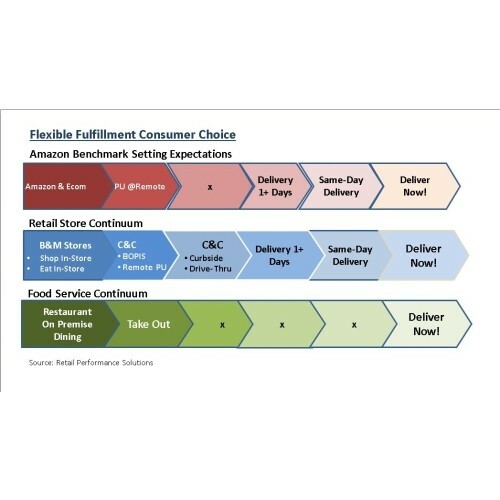 Dine In options via a friendly cafe like experience can capture Food Away From Home spending and trips while bringing shoppers in the store with potential for Food At Home spend as well.